For the record, there is no eleventh commandment that says: “Thou shalt not enjoy life.” Nor does God ever say, “My plan for you is to be miserable on earth until you arrive in heaven.” What the Bible does say is that God “richly provides us with everything for our enjoyment.” (I Timothy 6:17b) In other words, God has given us an amazing world to enjoy—so what’s holding us back from living a life that’s deeply satisfying? A major misconception we must debunk is that when you become a Christian, you are required to give up much of what you find satisfying and your fun is over. Truth is, God maximizes our ability to enjoy life and gives us unlimited freedom to live the most fulfilling lives possible. If there is any sin in this, it is in our reluctance to consider how God can raise the quality of our lives to new levels of fulfillment and joy. For Reflection: What false limitations have you imposed on your God-given freedom to enjoy life? 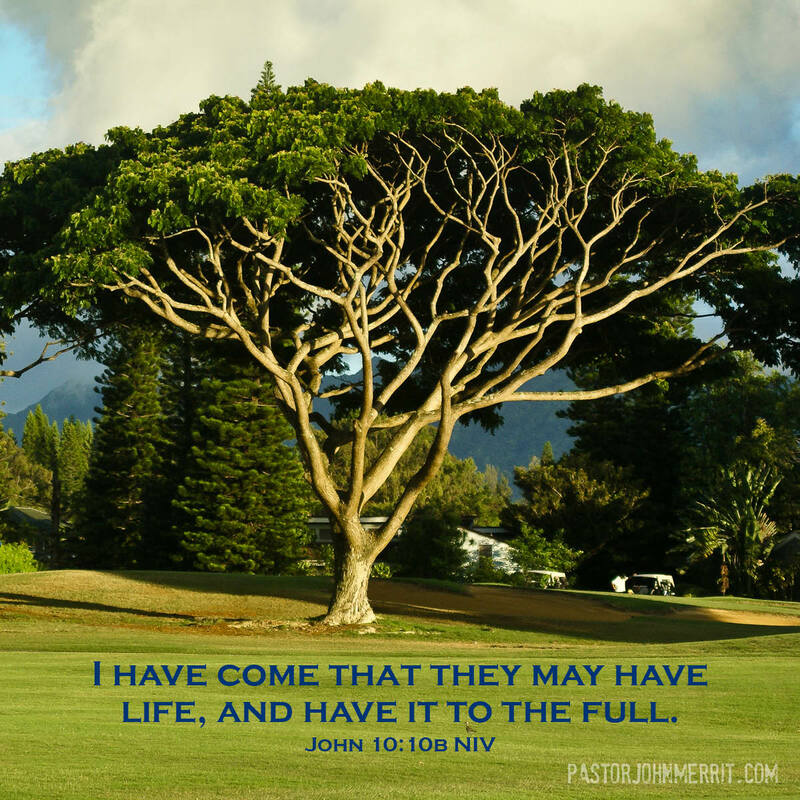 How do you think living life with God could serve to elevate your satisfaction and joy? Previously published on John Merritt’s blog. This entry was posted in Devotion and tagged devotional, encouragement by Pastor John Merritt. Bookmark the permalink. When not behind a pulpit you will find John lobster diving, helicopter skiing, hauling in yellow fin tuna, calling mallards from a duck blind, or rocketing over whitewater in the Grand Canyon. John loves to stretch people by taking them into untamed places like Cape Town, Cairo or Calcutta. Always scheming about how to get out of the office, John loves to find fellow conspirators to take the next plunge into the unknown. Currently John is the Interim Pastor for Fair Oaks Church in Concord, CA and is navigating a merger of Fair Oaks Church with CrossWinds Church (John is a pastor on staff at both churches). John has been a missionary, leader, pastor, church planter and speaker for the past 40 years. John is married to his wife Debbie, has 3 children and 5 grandchildren. Having just gone through a difficult menopause, I now find myself at a point where I can get through a day without (what felt like) fifty hot flashes. During the worst periods, I could sometimes not find any joy in a given day and wondered how I was going to get through the rest of my life. But the tide feels like it’s turning. Though caring for my elderly mom these days, I manage to find plenty to enjoy- time with friends, a good meal, time with my husband and family. For years I was an overworker and loved a full plate. Now I make time for myself and the things I really enjoy. God has great mercy on me and saw me through (and continues to be with me always) a very difficult time. God’s mercy is so powerful. May your days continue to improve and you find the joy that was once lost. God created us to enjoy the life He made for us!